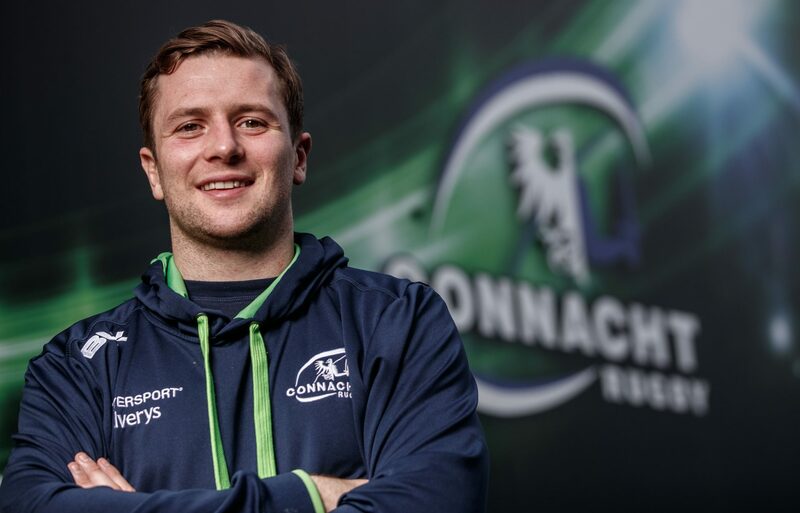 Jack Carty has been rewarded for his outstanding form with Connacht this season with selection for the 38-man Irish rugby panel for the upcoming Six Nations tournament. The former Roscommon minor footballer has been named by Joe Schmidt as cover for Johnny Sexton and Joey Carberry, and his former coach and fellow Kiltoom native Tony Dolan feels that it’s fully-deserved recognition for a talented player that has worked very hard at his craft. “I first coached Jack with the Connacht Youths side, then again with Buccaneers U-19s and seniors. When I first worked with him he and Danny Qualter were in the same boat, playing rugby with Connacht and minor football with Roscommon, and you could tell even then that Jack had all the tools needed to develop into a top class player,” recalled Dolan. “He was developing into a really good out-half, and he had all the skills of the game but he was also an excellent game manager. He made great decisions on the ball and was a huge part of Connacht winning the interprovincial series that season,” he continued. Carty’s progression hasn’t always been smooth sailing and while he was given a full-time contract with Connacht after coming through their academy system, the presence of a Scottish legend in the Sportsgrounds ensured that the Barrymore man had to take the slightly longer road around. “It was good management from Connacht, who had Dan Parks in the number 10 jersey at the time,” outlined Dolan. “Jack came in and played with the Buccs U-19s and then with the seniors, and he benefited hugely from playing on a regular basis. The All-Ireland League, particularly at Division 1A and 1B, is a great platform for players to learn and develop, and you see a lot of that now where provinces will have lads on contracts but let them play with AIL clubs in order to get them game time. This Six Nations panel saw Carty selected alongside two other uncapped Connacht players — scrum half Caolan Blade and centre Tom Farrell — and Dolan believes that it’s his dedication and commitment that has seen Carty rise to the level of international recognition. “Look at Jack’s kicking stats, they’re second only to Sexton. He’s worked very hard to get to this point, it hasn’t always been plain sailing. He’s had a few setbacks along the way but he stayed the course, stuck with it and I’m delighted to see him get his reward now. I can’t wait to see him pull on a green jersey and do us all proud if he gets the chance in the Six Nations,” he concluded.